Controls microbial growth. In particular, starter growth is inhibited. Likewise, Propionibacterium freudenreichii, essential for eye development in Swiss-type cheese, is very sensitive to NaCl. Hence, Swiss-type cheeses have the lowest salt contents of any ripened cheese variety. Affects composition. 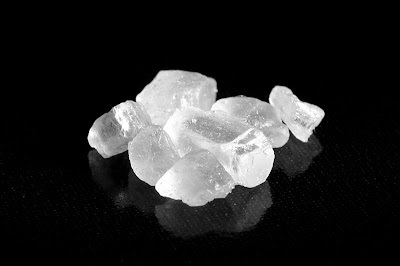 In general, about 2 kg moisture lost per kg NaCl absorbed. Affects flavour, through its direct salty flavour, by controling activity of enzymes, and of microorganisms. In particular, by promoting hydrophobic interaction between molecules of beta-casein and this reducing the action of chymosin, it controls the development of bitterness. Affects texture by dehydration, effects on composition and proteolysis.